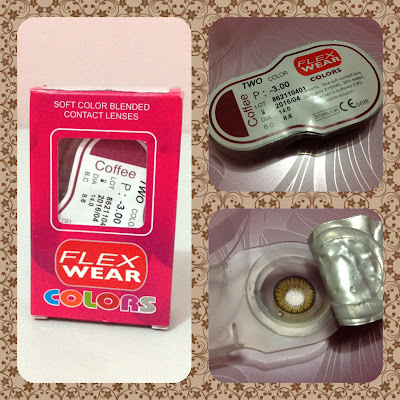 My affair with contact lenses started in med school. I got tired of wearing glasses but couldn't live without them either. Eventually, I was able to find suitabale lenses, but I guess like most people who are new to wearing them, I had a really hard time putting them on. I kept shutting my lids before fitting the lenses in place. It became so fustrating that I had to put it off for a while. After several years of sticking to my glasses, I finally gave contact lenses another try. 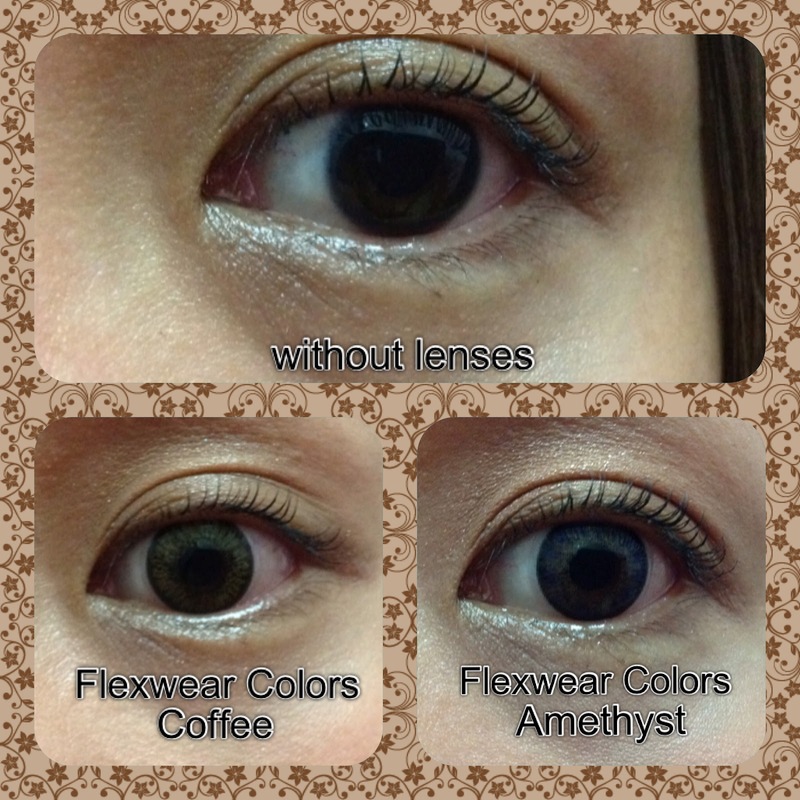 I was able to overcome the fear of hurting my eyes and have been occasionally wearing lenses for five years now. Years ago, contact lenses weren't so affordable. A pair of graded clear lenses costs more than a thousand pesos and colored lenses were even more expensive. Good thing that nowadays, there are a lot of affordable lenses available in the market but this doesn't mean they're all safe to use. It's still best to have your eyes checked by a specialist and purchase the lenses from reputable sellers. I've been having my eyes checked by in house Optometrists at Executive Optical and they actually assist you in finding the lenses best suited for your needs and budget. They also have a wide range of contact lenses to choose from and among them, EO's Flexwear Colors in coffee is my favorite. 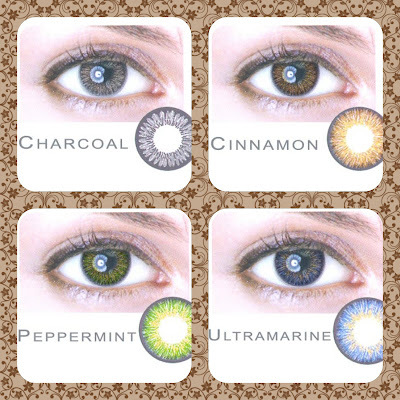 This has been my all time favorite since I started using colored lenses. They come in a sterile plastic container, sealed to ensure good quality. They're so soft but not to the point of losing the curved shape. 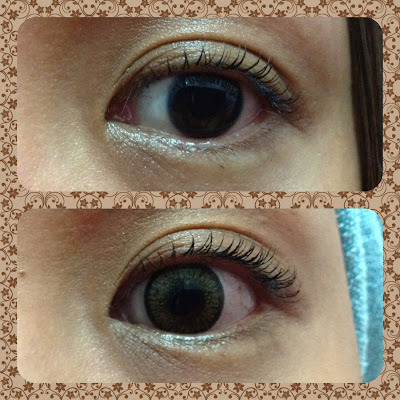 I love that they have the right thickness because I tend to accidentally tear thin lenses easily. They are sturdy enough to last for 3 months and may extend in some instances when you don't use them often. Nevertheless, it's still best to dispose them as recommended by the manufacturer to avoid eye irritation. Above image shows how coffee looks on me. Amethyst is another shade I've already tried and I've been using this alternately with coffee. Above image shows you a comparison of how they look when worn. What I ultimately like about these lenses is the natural look they offer. The colors aren't too loud or obviously fake. They just give a hint of hue that becomes noticeable only when seen at a near distance or under direct light. 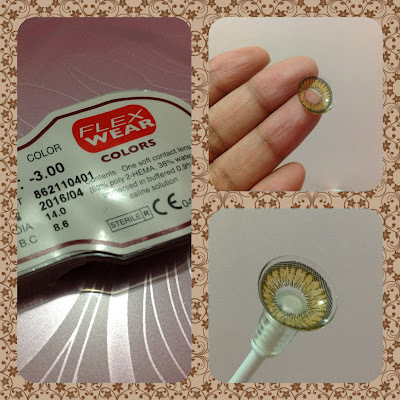 Flexwear Colors also come in four other shades as illustrated above. It costs P595.00/pair but if you get 2 pairs the price goes down to P547.50/pair. You may also try out Flexwear's all-in-one solution which comes with a free lens container. This solution is all you need to clean and lubricate your lenses. 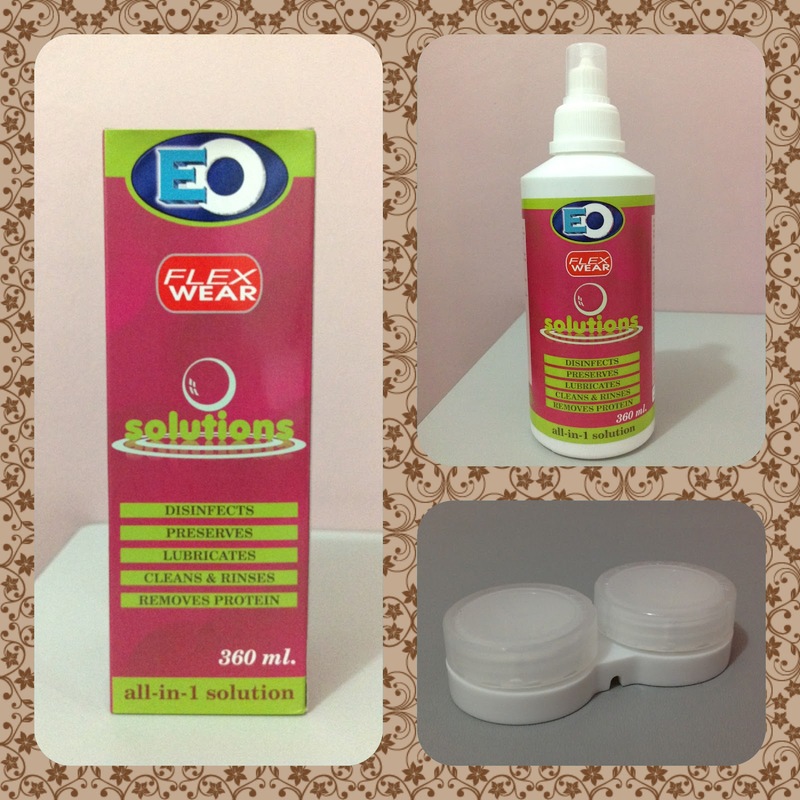 It only costs P158.00 and is more affordable than the other solutions available at EO. To know more about Executive Optical's latest products and services, please click here. Wearing contact lenses is actually fun and may prove to be beneficial but I still recommend you to consult an eye specialist first before giving this a try. After all, the eyes are windows to our souls so we need to take care of them in the best possible way we can.